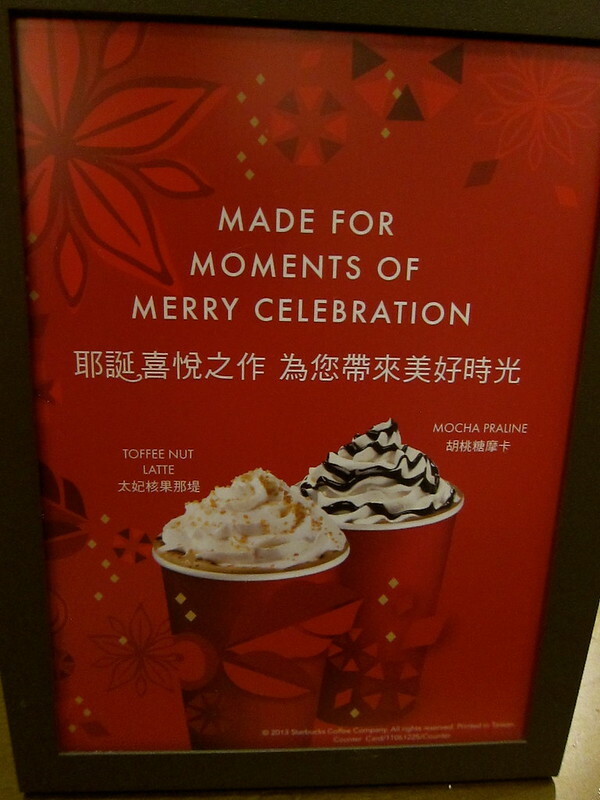 After enjoyed Starbucks’ holiday offerings in Japan, I was a bit disappointed to see only two special drink in Taipei. However, seeing as how they were both excellent, the disappointment was short-lived. The drinks in Taiwan were simpler than Japan, relaying on interesting flavors, more than lavish toppings and decorations. 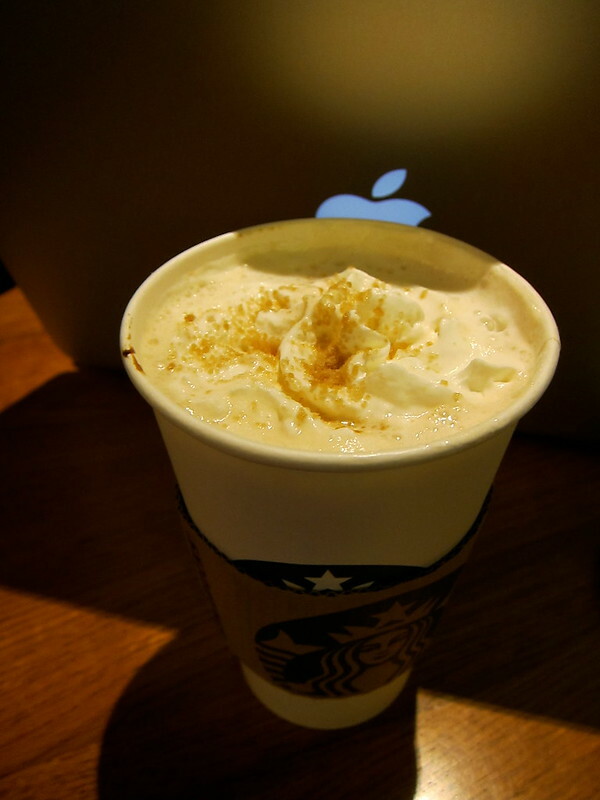 My personal favorite was the Toffeee Nut Latte. Considering that Starbucks in the U.S. has Toffee Nut syrup year-round, I didn’t think this was particularly festive, but apparently Starbucks n Taiwan and Japan only have Vanailla or Hazelnut lattes off-season. The whipped cream light, gingery toppings was a nice added touch. 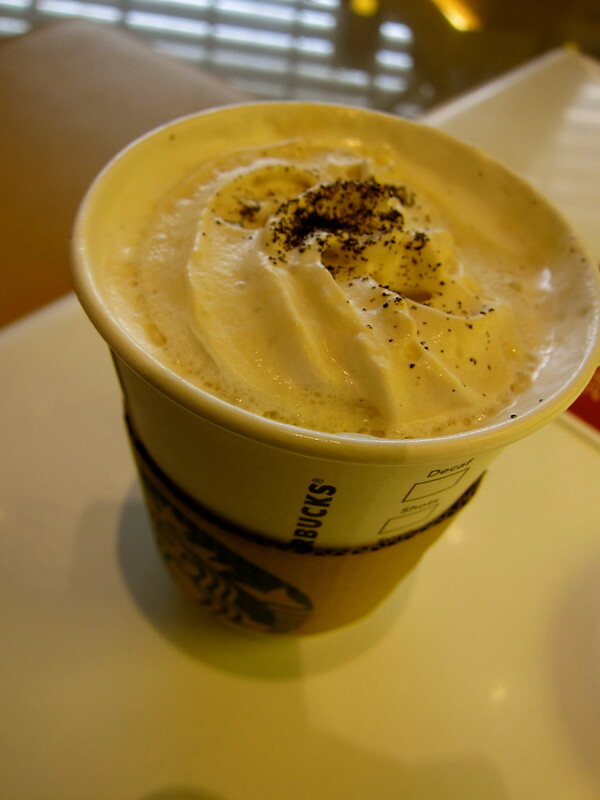 The Praline Mocha was also a great offering. I generally avoid mochas unless it's the white mocha. However, this praline mocha was delicious. The drinks is Taiwan have are less sweet and more subtle than Japan. It was a nice break from the toppings crazed 30-flavor madness of Starbucks Japan. 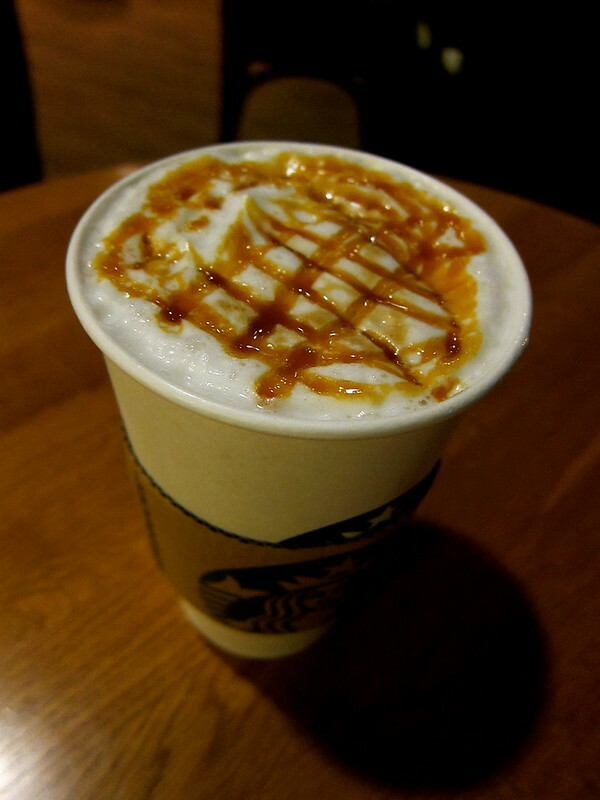 While I was in Taiwan, I also tried the Asian Dolce latte. Although it is not a seasonal offer, it is unique to Taiwan (and Singapore, apparently). I loved it the best, and I am so glad that it is offered year-round. The unique ingredient is apparently “dolce sauce,” which means nothing to me. I still don't know what is particularly "Asian" about this drink, but I love it. I love seeing the various options at Starbucks around the world, thanks for sharing! However, don't you think they could have offered something authentically "Asian" or related to the country. I'm waiting for some drink with red bean or persimmon, maybe some sort of tea latte? I totally agree. Nobody seems to know what is "asian" about this latte, though it tastes damn good. I think Starbucks wants to maintain its "foreign" image, so it tends to keep its specials pretty commercial. Stay tuned because Sakura season is back in Japan!